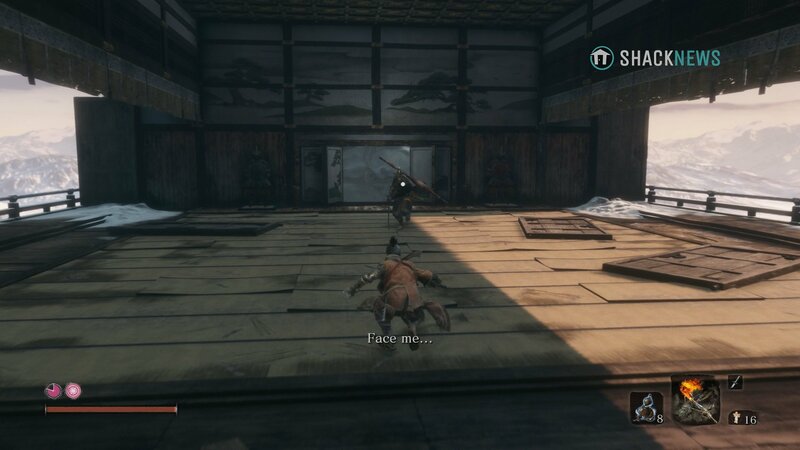 The Genichiro Ashina boss fight in Sekiro: Shadows Die Twice is incredibly difficult. This is a lengthy boss fight that demands a lot of the player and any mistake is swiftly punished. Before attempting to take down Genichiro Ashina, there are some things you can do to better prepare. 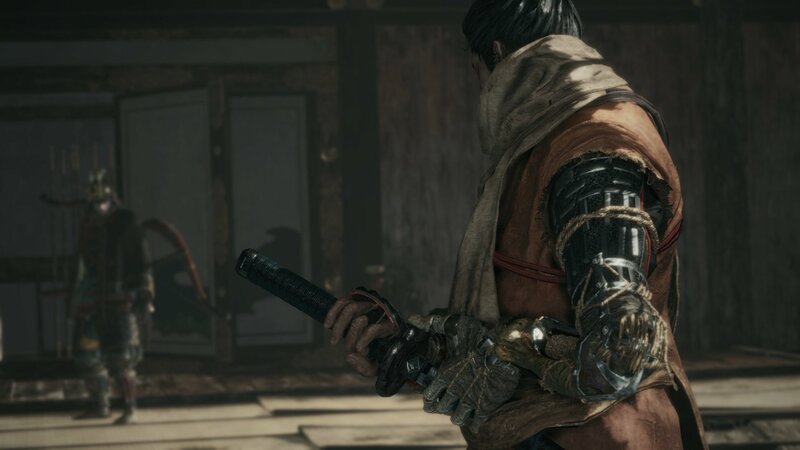 The fight against Genichiro Ashina acts as a major event in Sekiro’s main story. Before fighting Genichiro Ashina, it’s a good idea to go around and complete as many other side objectives as possible. The reason for this is to ensure you have as many prayer beads and gourd seeds as possible. The more vitality, posture, and healing gourds you have, the easier this fight will be. 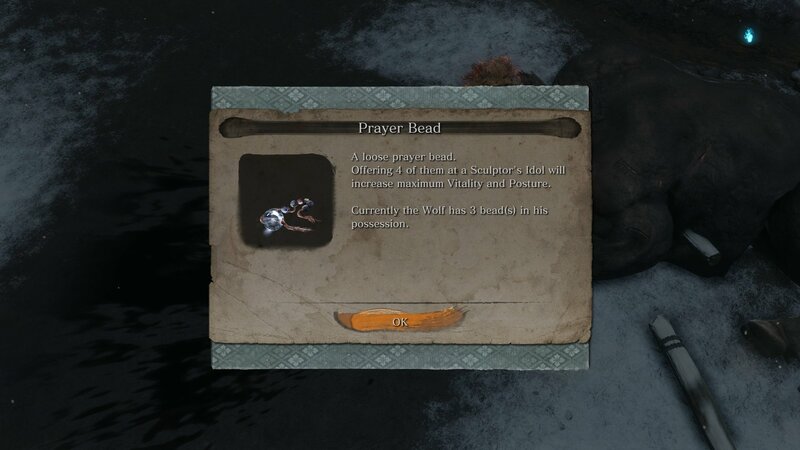 Collect as many prayer beads as possible before fighting Genichiro Ashina. If you haven’t yet entered the Hirata Estate and defeated Juzou the Drunkard or Lady Butterfly, take some time to do that now. These two bosses will help increase your power, making it easier to deal with Genichiro. These are obviously going to be difficult, and you may encounter enemies that are simply too tough. Go as far as you can. Unlock as many posture-damaging abilities as possible, as Genichiro Ashina is quite susceptible to such attacks. These skills allow you to deal more posture damage to Genichiro Ashina when performing a deflection or mikiri counter. The boss’ posture doesn’t recharge as quickly as others, so it’s indeed possible to max out his posture and score a deathblow early on. As far as what prosthetic tools you ought to be using, chances are you won’t be using any during this encounter. There’s very little time to pull off a prosthetic tool usage, though the Loaded Umbrella might help mitigate some damage if you’re fast enough. In saying that, if you’re fast enough to use a tool you’re fast enough to deflect. The fight with Genichiro Ashina is split into a few distinct sections. Genichiro has two deathblow counters, and once the first is removed, he becomes more aggressive and strings his moves together differently. Once both deathblow counters are gone, he will transform and the final part of the fight will begin. In terms of fighting Genichiro Ashina, it is best to focus on posture damage. He has a lot of health, and whittling it down is going to take a lot of time. However, that’s not to say health damage should be avoided. Wherever possible, deal health damage, as this will help keep his posture bar full. Genichiro’s posture doesn’t drain as fast as Lady Butterflies, so you can feel safe taking a moment to let your posture reset. Remove both of Genichiro Ashina's deathblows to progress the fight further. The first phase of the Genichiro Ashina boss fight is all about dealing with his deathblow counters. As mentioned above, it is best to focus on Genichiro’s posture, as it can very easily be filled by deflecting his attacks. Heal and Arrow: Whenever you pull back to use a healing gourd, Genichiro will knock an arrow and shoot. This has a long draw time, signifying a powerful hit. Either guard this arrow or preferably dodge out of the way. 9-hit combo: Genichiro has a roughly 9-hit combo that starts with him drawing his sword back and then initiating. Deflecting this attack will yield great posture damage. There is a slight pause after the first two or three hits and then a longer pause before the final hit. If you can guard or deflect these, there will be a brief pause at the end where you can follow up with a couple of attacks as he recovers. Danger grab: One of Genichiro’s danger moves is a devastating grab attack. He the danger sign will flash as he reaches his right hand across to his left side and then thrust out. Step backwards from this to avoid getting nabbed. Danger thrust: Another danger move of his is a thrust attack. Genichiro will draw back his sword over his right shoulder, counter this with a mikiri for high posture damage. Danger sweep: The boss also has a sweeping move that can only be avoided by jumping or being out of range. Jump and danger: Genichiro also has a jump slam move that he can follow up with one of his danger moves. You will need to roll out of the way of the jump move and see if he follows it up with a danger move. At the start of the fight, he will likely only do the jump but once he loses a deathblow he is more likely to follow it up with a danger attack. Arrow overhead slam: Ashina will fire an arrow and then rush at you with an overhead slam. Deflect the arrow and then roll left to avoid the slam. As he’s recovering, dash in to deal damage. This attack can also come in the form of a single arrow followed by the slam. 4-arrow air: Genichiro will jump into the air and rapid-fire four arrows. Deflect or dodge this attack. After dealing two deathblows, Genichiro will empower himself with lightning, becoming Genichiro, Way of Tomoe. Once both deathblow counters are removed, the second and final phase of the Genichiro fight will begin. He will transform into Genichiro, Way of Tomoe, an armorless version that retains all previous attacks and adds new lightning attacks that shock and stun you. If you didn’t learn about lightning attacks in the dojo downstairs, here’s a brief overview. Getting hit by lightning while standing on the ground deals significant damage. Avoid this by jumping as your opponent is about to perform a lightning attack. If you get hit with lightning while you’re in mid-air, attack before landing to send the lightning back at the enemy. You can begin this phase of the fight by sprinting directly at Genichiro, rolling right, and then following up with a couple of attacks. Each time I managed to get to this phase, he began with the same jump-stabbing move that was easy to avoid and punish. 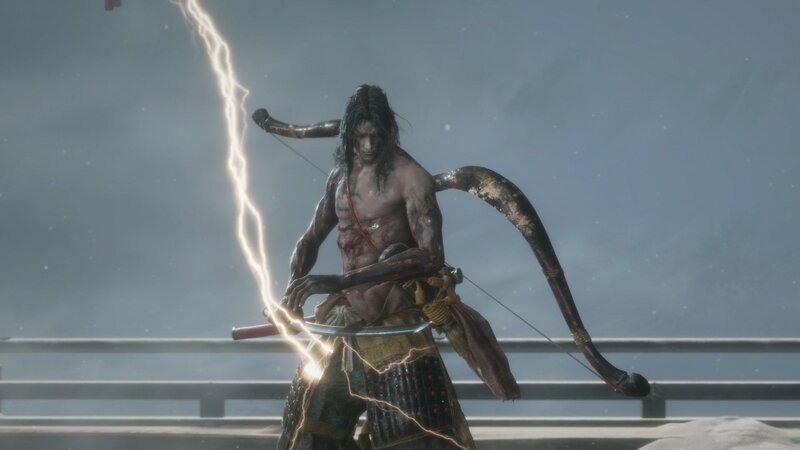 Danger lightning sweep: Genichiro will jump into the air as lightning courses through him, and then do a sweep attack. Jump over this attack and prepare to either mid-air kick for posture damage or attack. Danger lightning arrow: This attack sees the boss fire a lightning arrow into the ground. If you are too close you will be struck by the full force of the lightning. Dodge to the side and then jump or jump to the side to avoid this attack. Danger lightning slam: Another danger attack has Genichiro jump and raise his sword up, channelling lightning and then slam it onto the ground. Jump to the side to avoid this attack. The fight against Genichiro Ashina in Sekiro, and his second form Way of Tomoe, is going to be a major hurdle for a lot of players. Much like the other fights, the key to beating this boss is learning its moves and responding with the correct counter. 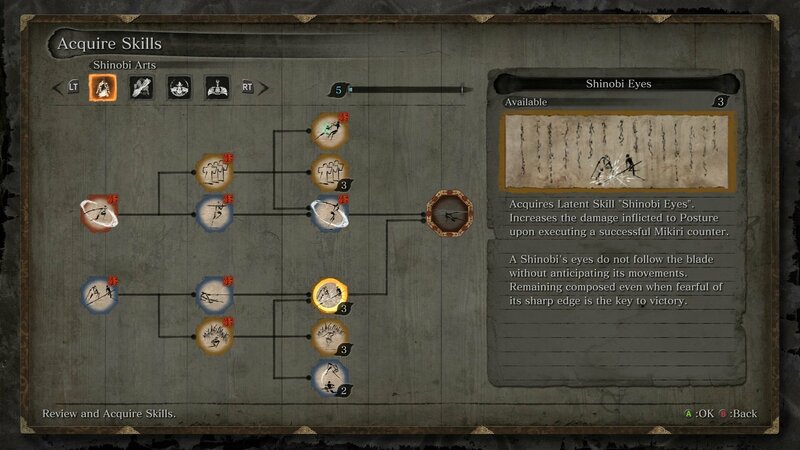 With Genichiro Ashina defeated, check out the Shacknews Sekiro: Shadows Die Twice page for more boss guides and help!